Mittens is a classic cat who lives somewhere in the CBD area of Wellington. In a short span of time this graceful cat has become an icon of Wellington. He comes out of his house every morning for his daily adventures. Who won't envy Mitten's life! Everyday begins with a new adventure. He goes to any cafe, saloon, shop, office etc. at will and now he has become so popular that people keep waiting for Mittens to arrive. Mitten doesn't have any firm schedule. He just selects a place to explore randomly like a true superstar. People very proudly share their meeting with Mittens, Oh! Guess what, I bumped into Mittens today. He boosts to have his own Facebook fan page but I will give that link at the end of the story otherwise I am sure, you will stop reading my story right at this moment and jump to Mitten's Facebook fan page. You know that my site is all about Mindfulness techniques. Mindfulness is nothing but living in the moment, away from the traumas of the past and fears of the future. We all tend to get those lovely moments when we just live in the present moment but because of today's lifestyle and stress, these moments are very short lived. Various mindfulness technique exercises help us live in the present for longer time. And with regular practice, you will be able to live in the present all the time removing stress and anxieties from your life forever. Instead, your life will become a joy to live with that ultimate pure bliss. You will find different type of techniques that I have discussed in my various posts in this blog. But today, I am discussing a completely new type of mindfulness technique and that involves Mittens. I didn't know much about Mittens but had heard about him from my daughter about a cat named Mittens who has his own Facebook fan page. Once, we were lazily loitering in the Victoria Street one Sunday and we entered a Japanese grocery shop. 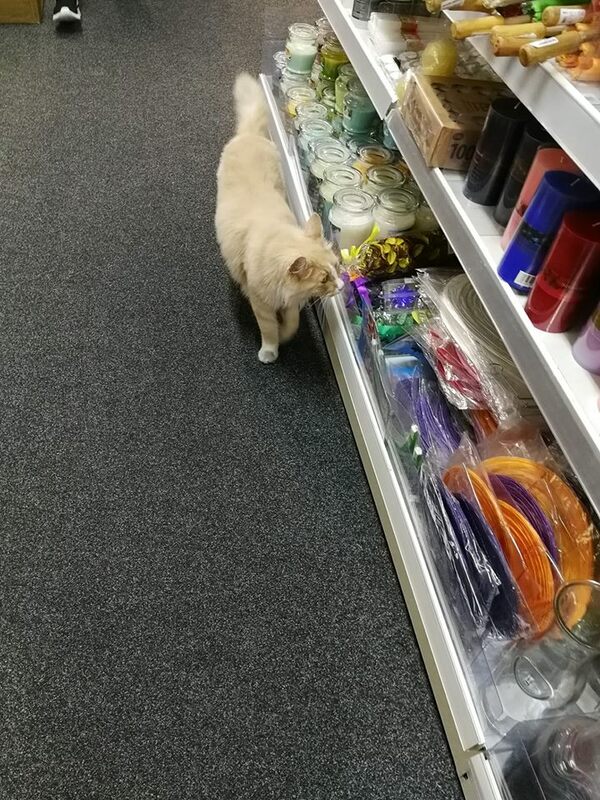 Then I saw a cat moving from isle to isle confidently and gracefully. I told my wife, what a beautiful cat, must be owner's pet. We told the owner that you have a beautiful pet. He was shocked and surprised at the same time and said that he doesn't own any pet. that was, a sort of Eureka moment for me. Oh that's Mittens, I literally screamed so loudly that it was a bit embarrassing. We again went to those isles in search of Mitten. Patted him and photographed him. He emits very positive vibes. You always get lost in that very moment when you see Mittens. It is moment of joy. It is something like a teenage boy accidentally meeting his favorite rugby superstar in a coffee shop. To my surprise, that feeling of joy and bliss lingered through out the evening. It has nothing to do with beauty because I have come across many much more beautiful pets. Mitten has a kind of positive aura around him. He is friendly, graceful, courageous but still detached. This mix of gracefulness and aloofness triggers that curiosity. This is how superstars attain stardom. I never thought of this new technique till I met Mittens. Being with a certain type of pets and humans also generate that mindful moments. And Mittens is the star of such type of beings. So, I decided to include, "Meeting Mittens" among many of my mindfulness techniques. If I only like him and reach that state of joy and mindfulness while meeting Mittens, it can be called coincidence or Karma effect of the previous birth connection. But it is happening to every one. Painters are making his portrait, cartoonists are creating comic strips etc. etc. So, Mittens is able to trigger that state of mindfulness directly and indirectly. Directly because, just being with him causes that precious moments of bliss. Indirectly, because he triggers other mindfulness techniques like drawing, writing, painting etc. And, I am in search of many more such pets and humans. I have become more attentive when I observe pets or even stray animals (There are many stray cats in our streets). This technique will specially work too well when you are looking for mindfulness for children. A very funny incident took place after I completed writing this post. I met a friend and started describing Mittens adventures to him. Do you know, what was his reaction? He said, it looks like you are trying to draw Mittens portrait with your words. His comment was another sign that my selection of "Meeting Mittens" as a part of my mindfulness techniques, was a right decision. By the way, Click here to like, share and enjoy Mittens Facebook Fan Page.